Each piece in this collection is decorated decadently in gold and silver leaf with clear crystals adding brightness and elegance. Designed by Enrico de Girardi. 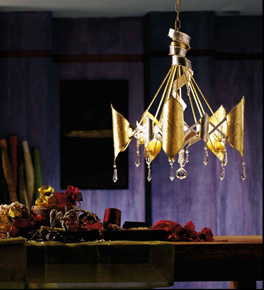 This collection includes chandeliers and wall lights. Rombo is Italian for Rhombus.